History - Regina Little Theatre Society, Inc.
RLT has the proud distinction of being the oldest continuously-producing, English-speaking theatre company in Western Canada. Regina Little Theatre is a non-profit community theatre company dedicated to providing creative opportunities for amateur performers and backstage personnel. RLT is operated by and for volunteers and has the proud distinction of being the oldest continuously-producing, English-speaking theatre company in Western Canada. Even during World War II, when other companies folded or suspended their activities, RLT stayed its course. In Canada, only Ottawa Little Theatre has a longer history, although OLT operates with a mix of volunteers and paid personnel. On May 21, 1926, a group of Regina theatre lovers met at the office of Read, Smith & Co. to discuss the possibility of forming an amateur company. It was decided that individuals who were sincerely interested in dramatic art and literature would be invited to join. In addition, members would have to work in harmony with others, place the welfare of the group before personal ambition, and loyally support the management. These were the foundations on which the new company would be built. Approximately 25 people attended the first general meeting of the Society held at the Kitchener Hotel on June 7, 1926. A constitution was adopted, and the first president, Lieutenant Colonel Francis B. Ware, D.S.O., was elected. However, the driving forces behind the newly-formed Regina Little Theatre Society were Walter Read and Captain G. R. Chetwynd. Two one acts, The Singing Soul and The Old Lady Shows Her Medals, were the first plays produced. They were staged for members only on November 29, 1926, in the 600-seat Gymnasium Theatre at Regina College. 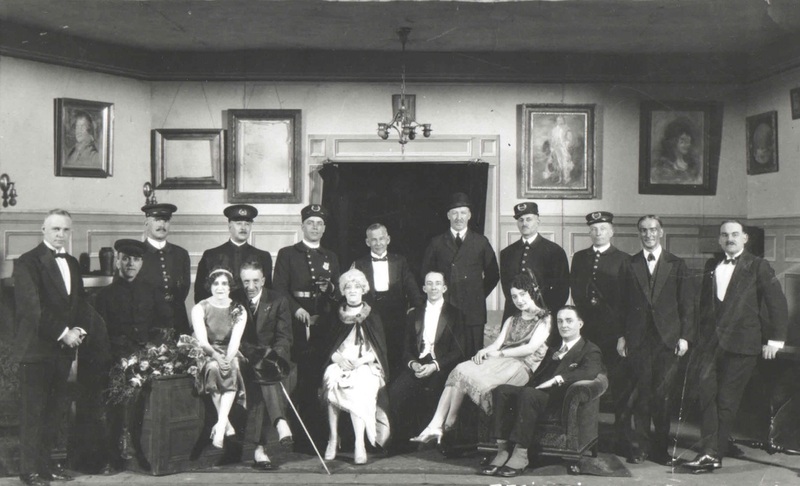 The first official public performance was the full-length comedy Officer 666, which played February 28 and March 1, 1927, at the Grand Theatre and for which an admission fee of one dollar was charged. The last remaining cast member, Alice Duckett (seated right in photo), passed away in 2007. In 1928, Darke Hall was built on College Avenue. Walter Read described the new venue as "an admirable theatre, one which few cities can rival." Regina Little Theatre performances were staged there for many years, initially for a token annual rent of $30. 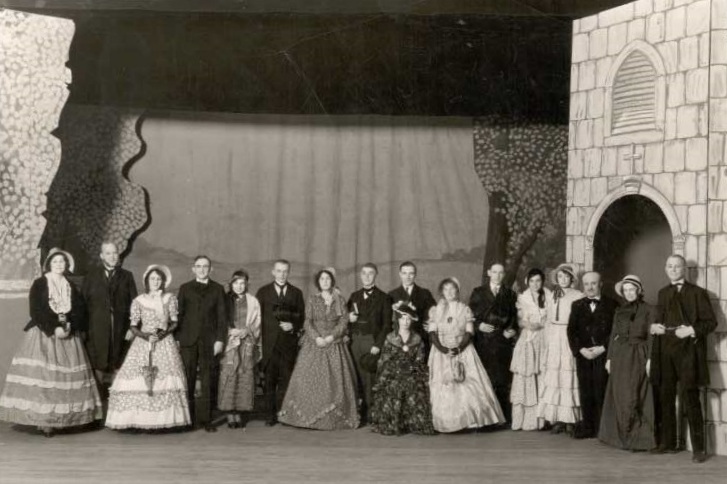 In the early 1930s, RLT helped found the Saskatchewan branch of the Dominion Drama Festival and encouraged amateur theatre clubs throughout the province. RLT competed for the first time in the Dominion Drama Festival's provincial playdowns in 1933 and thereafter won many national honours for its productions, directors, and performers until the Festival's demise in 1971. The organization continues to participate in provincial one-act and full-length play festivals sponsored by Theatre Saskatchewan (formerly Saskatchewan Community Theatre, Inc.). In 1956, Sampson J. Goodfellow purchased and donated a former puffed-wheat factory on South Railway Avenue (now Saskatchewan Drive) to Regina Little Theatre for rehearsals, set building, storage, social events, and small-scale performances. Full-length plays continued to be staged at Darke Hall and local high schools. When the Regina Performing Arts Centre opened in 1988, Regina Little Theatre began staging its productions at the Centre. RLT's building on South Railway Avenue was eventually sold, and the organization's office, rehearsal spaces, carpentry shop, props room, and costume room were relocated to the Centre's lower level. An illustrious list of alumni have passed through RLT on their way to fame. An illustrious list of alumni have passed through RLT on their way to fame. This list includes Marilyn Boyle, Shirley Douglas, Howard Eastman, Jeanne Griffiths, Jim Henshaw, Frances Hyland, Nancy Kerr, Kay Kritzwiser, Scott Peters, John Vernon, Tobi Weinberg, Murray Westgate, and Bill Walker. Most recently, Tatiana Maslany has been critically acclaimed for her portrayal of multiple characters in the hit television series Orphan Black. Regina Little Theatre has been a membership-driven organization since its inception. In the beginning, 160 people joined the Society for a fee of two dollars. Today, RLT boasts over 500 members.